A federal judge dismissed a lawsuit against the city of Donna over an inmate who hanged himself in the city jail nearly two years ago. Jose and Veronica Garza and Cynthia Lopez filed the lawsuit on behalf of Jose Luis Garza, who died as a result of asphyxia by hanging a shirt on a jail cell door in February 2016. The three claimed Garza’s 5th and 14th Amendment rights were violated, which resulted in his death. U.S. District Judge Micaela Alvarez dismissed the lawsuit last month due to a lack of evidence to support that Garza’s civil rights were violated. Evidence showed Garza covered the camera inside the jail cell with wet paper towels the morning of his death. His body was not found by jail staff, but rather by U.S. Customs and Immigration Enforcement agents who checked the cells at 8:49 a.m. on Feb. 19, 2016. 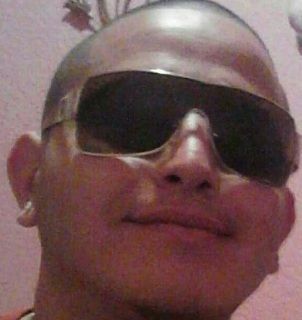 Garza was taken into custody early that day when officers were dispatched to a home in Donna, according to court records. Veronica Garza, his mother, called police because she was afraid Garza “would try to fight” his brother. When officers arrived, they noted he exhibited signs of intoxication. His mother claims she told officers that Garza might hurt himself. “Veronica might have also told a male officer that she “feared for (Garza’s) life,” although it is not clear from the wording and the context of this statement whether it was actually spoken, or simply how Veronica felt,” according to factual background recorded in the case. During a deposition, Veronica Garza divulged she did not know if Garza shared with anyone that he might take his own life. “There is no evidence (Garza) had ever expressed an intent to harm of kill himself, or that (Garza) had either specifically expressed an intent or actually tried to hurt himself during any of his three to four previous stays in the jail,” Alvarez wrote in her opinion. The city of Donna “has no policy requiring suicide screening for all pretrial detainees,” according to court documents. Officers and jail staff instead are entrusted with seeking medical or mental screenings, should it be necessary. A communications supervisor — who is tasked with taking calls, monitoring the jail video feed, dispatching officers and running license plates — did not check on inmates in person. The layout of the communications supervisor’s office on Feb. 19, 2016 showed she “could not take 911 calls and monitor the video feeds” simultaneously, according to the court documents. However, the judge found no evidence indicating that the communications supervisor might have known that Garza could take his own life. The communications supervisor testified that she monitored the video feed that morning until the time when jailers arrived at about 8 a.m. and did not notice the camera was obstructed. Two jailers said they checked the cell at about 8:10 a.m.
“No fact finder could reasonably infer” from evidence that one of the jailers knew there was a risk Garza may take his own life, according to the written opinion. However, one jailer was not aware that an inmate was in custody until he looked into the cell himself that morning. ICE agents did not arrive at the jail until 8:48 a.m. and they discovered Garza’s body in the jail cell. “Thirty-nine seconds after entering the jail cell with keys, a jailer ran back into the booking room, apparently to call for medical assistance,” documents state. A Donna police officer arrived and performed CPR until Garza was transported to Knapp Medical Center, where he was pronounced dead at 9:12 a.m.
“There is no way to know” that Garza was “thinking of suicide,” the opinion stated.